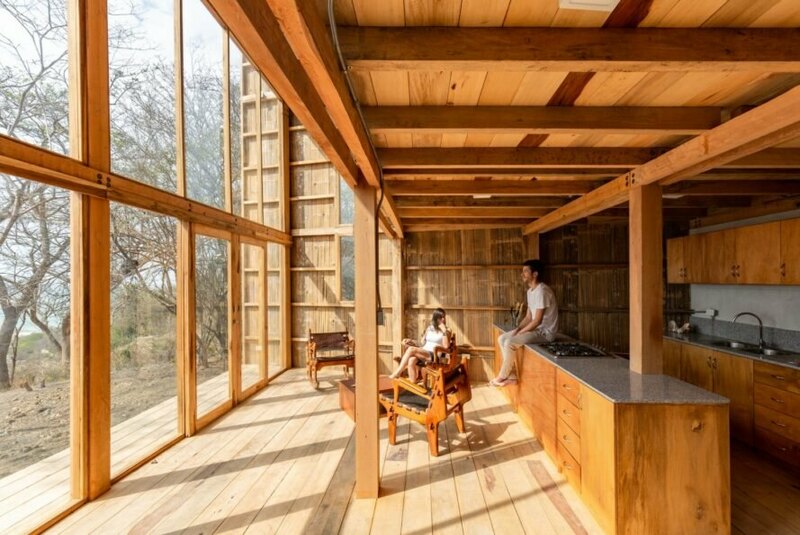 When it comes to creating living spaces that meld into their environment, savvy architects are showing us that sometimes less is definitely more. 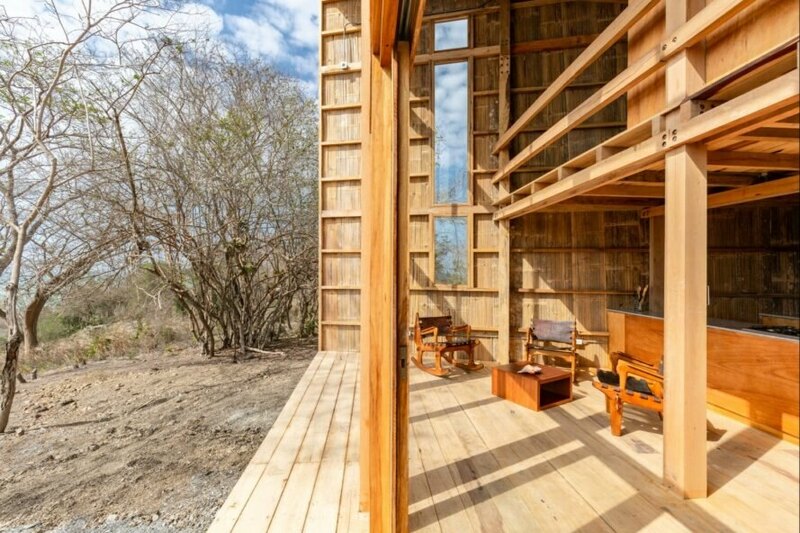 Quito-based architect Emilio Lopez has just unveiled a beautiful cabin made with locally sourced wood and bamboo. At approximately 1,200 square feet, Cabana Don Juan is formed like a boxy funnel, with both sides featuring large glazed walls that provide stunning views of the coast on one side and a lush forest on the other. 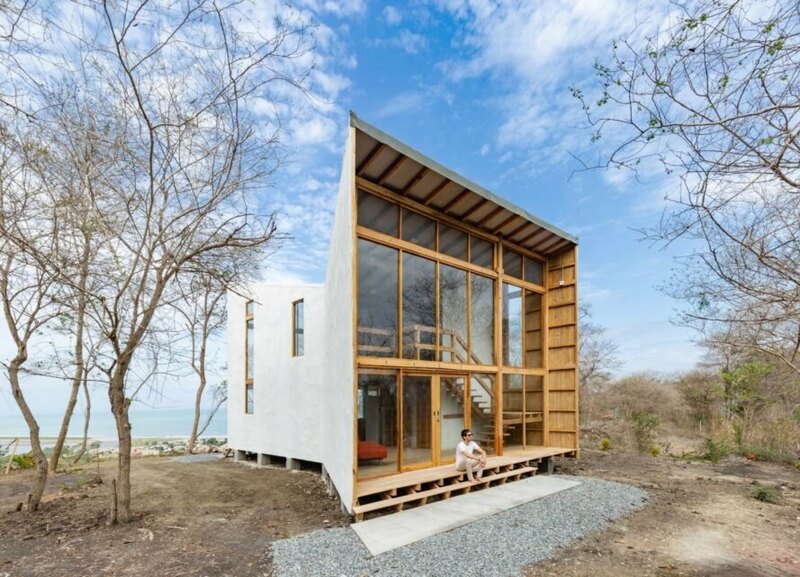 Located in the country’s Manabí Province, the beautiful two-story cabin is tucked into a native deciduous forest. Built on top of a hill along the coast line, the home rests in a setting that is picture-perfect, with views of the ocean on one side and the forest on the other. To make the most of its natural environment, Lopez designed the cabin in a unique funnel shape with two extended sides that feature ultra-high, all-glass facades. 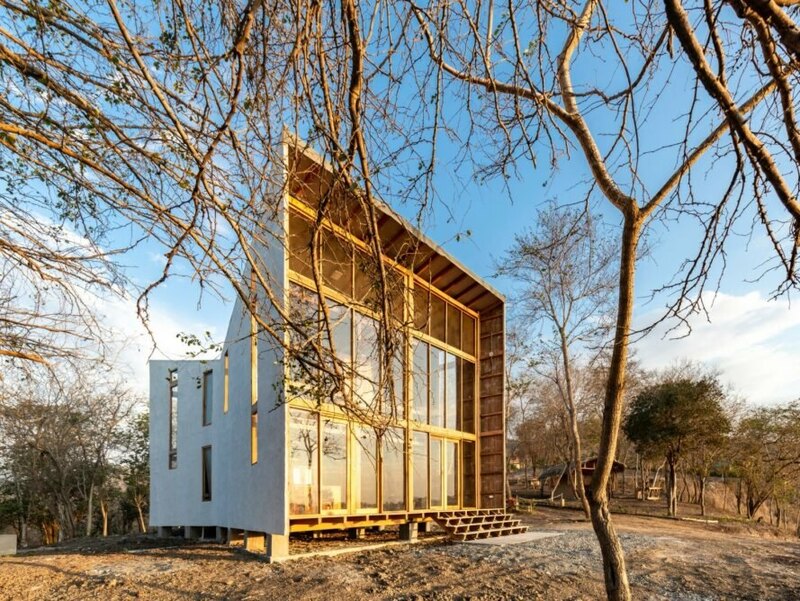 The shell of the home is made out of concrete and covered with locally-sourced Amarillo and Asta wood. 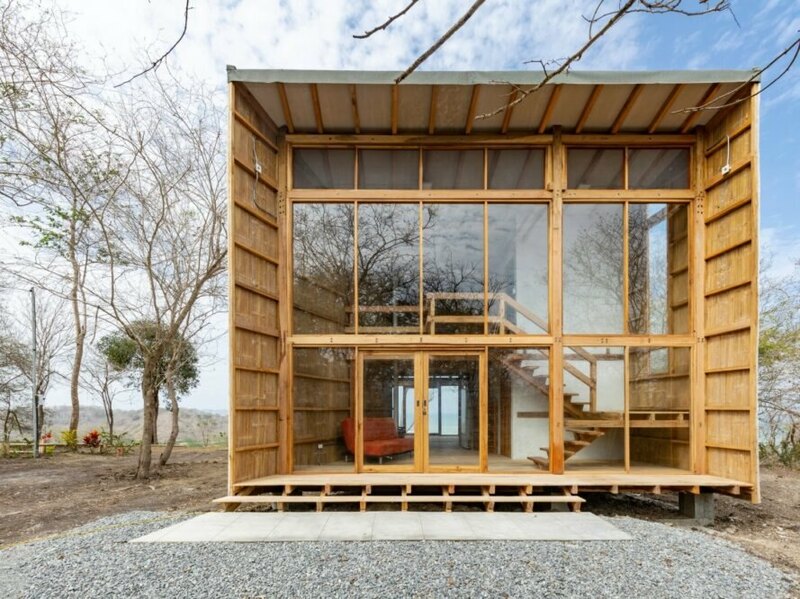 The interior was clad in eco-friendly bamboo, which provides a warm and cozy atmosphere. The living space is approximately 1,200 square feet, spanning two levels that connect through double-height ceilings. The ground floor houses the living, dining and kitchen area, while the two loft-like bedrooms are on the second floor, facing the ocean. The open-plan layout with large windows not only embeds the cabin and its inhabitants into the surroundings but also provides natural light and ventilation throughout the year. Designed by Emilio Lopez, Cabana Don Juan is a gorgeous 'double-sided' cabin in an Ecuadorian forest. The structure is shaped like a funnel, with both ends featuring an all-glass facade. 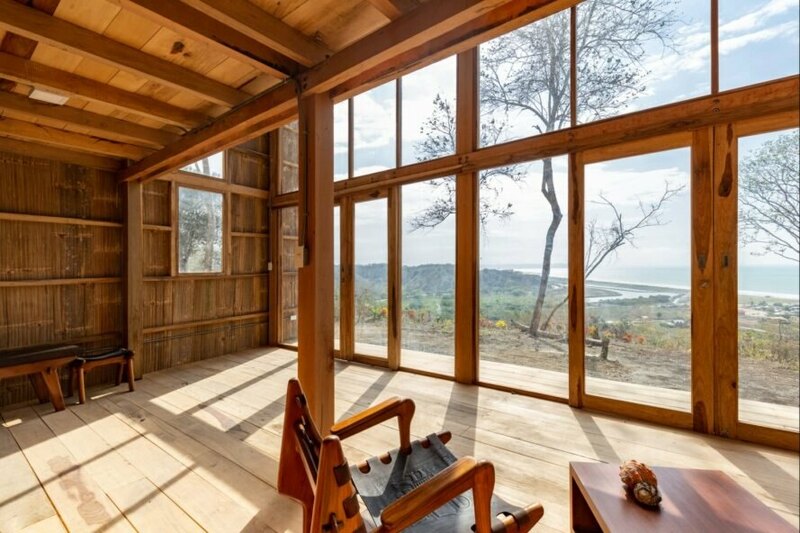 The glass panels provide stunning views of the coast on one side and the lush forest on the other. The interior living space is approximately 1,200 square feet. The interior features an open layout. The home was built with locally sourced wood and bamboo. The design was left rustic to provide a traditional cabin feel. The home was designed to let in optimal natural light into the interior. A model of Emilio Lopez's Cabana Don Juan.